Local broadcaster TVB hit back at RTHK yesterday in a dispute about the rescheduling of RTHK’s political satire show on its TV channel, noting that it’s not sure why it has to show RTHK programmes at all anymore. It all started when RTHK expressed its displeasure over TVB pulling an episode of the satirical programme Headliner at the last minute last Friday evening, after which RTHK filed a complaint to the Communications Authority. TVB instead showed edited clips of president Xi Jinping’s visit to Hong Kong on its Jade channel, followed by a fung shui programme, while Headliner was broadcast on a different channel in the early hours of Saturday morning. In response to enquiries about the controversy, TVB defended its decision to move the satirical show, saying Xi’s visit was “important news” that had to be covered. The statement also hit back at RTHK’s head of corporate communications, Amen Ng, who accused TVB of being unprofessional. TVB said if Ng thinks Xi’s speech “wasn’t news”, or it wasn’t as important as Headliner, she is ignoring reality and accused her of not being professional herself. The network also said the requirement for TVB to broadcast RTHK programmes is a historical one, as RTHK did not use to have its own TV channels. 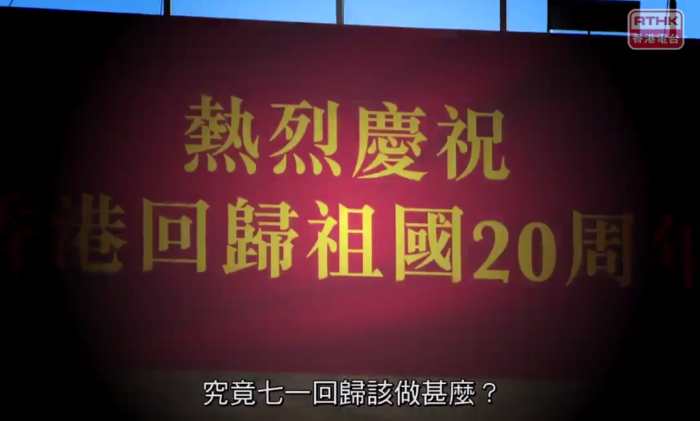 TVB called for an end to this “outdated” arrangement as soon as possible. In response to TVB’s comments, Ng said she agreed that Xi’s visit was important, but pointed out that the footage shown on the Jade channel instead of Headliner was not breaking news. Meanwhile, secretary for commerce and economic development, Edward Yau, said the Communications Authority had received more than 130 complaints. But he wouldn’t say whether he thinks TVB’s action amounted to self-censorship. “I’ll leave it to the authority to conduct the investigation instead of commenting on my own opinion. I’ll leave it to the agency to handle this,” Yau said. Adknowledge Asia has launched Instagram advertising through its social video marketing platform, AdParlor. ..